TransPennine Express (TPE) has released a photo showing the bodyshell for the first carriage of its new Class 397 fleet. 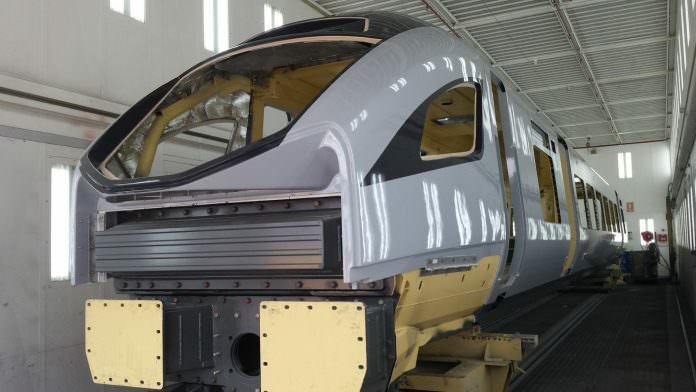 The Class 397s are being built by CAF in Spain and are the second new fleet to be procured by TPE since the start of the new franchise last year. 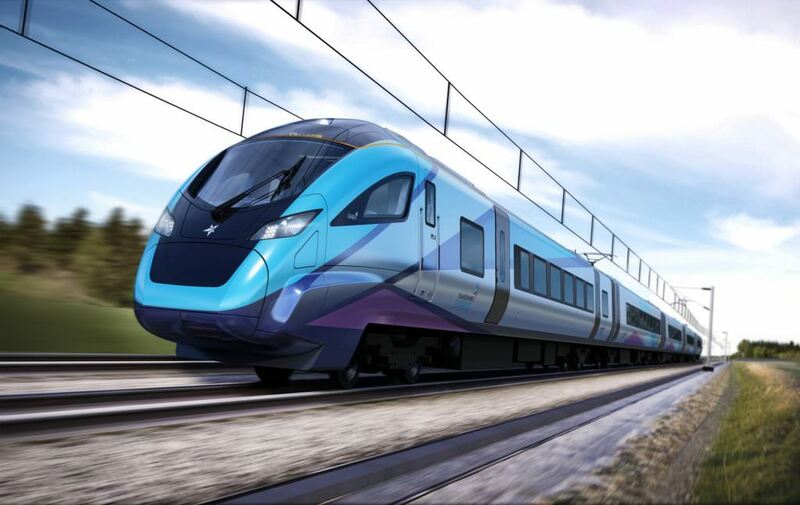 Once the manufacturing and commissioning process is complete, the new trains will go into service on TPE routes between North West England and Scotland. Twelve five-car trains have been ordered in total. The first will go into commercial service in spring 2019. TPE has said the Class 397s – a high-speed variant of CAF’s Civity train platform – will have plug/USB charging points, more luggage storage and free Wi-Fi. They will also include display screens which show real-time reservation information. Leo Goodwin, managing director for TPE, said: “This is an exciting step towards providing brand new, state-of-the-art trains plus more seats for rail customers across the North and into Scotland. The interesting thing about these trains is that they will replace the Class 350 trains, which were delivered in 2013-2014. The Class 707 trains still being delivered to South Western Railway also seem to be unwanted. South Western Railway are also replacing some the current Siemens trains with refurbished Class 442 trains. The Class 700 trains on Thameslink don’t seem to be liked much! So what is wrong with Siemens trains? Is it the lack of wi-fi? Or are they too expensive? It was always planned that the 350/4s on TPE would be a temporary thing. They were actually ordered by London Midland years in advance of when they were actually needed (when the Cross-City to Bromsgrove is up and running at full frequency), and they were loaned to TPE for lack of anything else suitable to run electric services – could you imagine going Manchester to Edinburgh on a 319? Also the 350/4s do have wifi, and it’s being rolled out on SWR’s 444s and 450s too. These trains could had been purchased for GWR services together with full electrification, it would be interesting to know the seat cost per month compared to the disappointing and overly complex class 800s. On the east coast, special diesel locomotives and track layouts to facilitate quick coupling could have taken them forward to the highlands. What a mess the faceless bureaucrats of the Dft have made of this. The Class 397’s will soon be replacing the Class 350/4’s (once it’s built and delivered) which the Class 350/4’s are to end up with London Midland and possibly working on Class 319’s duties and Watford Junction-St. Albans Abbey branch line. Or TPE could use the Class 350/4’s on Manchester Victoria/Piccadilly-Blackpool North service via Bolton & Preston (when the electrification is completed). As the Class 397’s are to operate on Manchester Airport-Glasgow Central & Edinburgh Waverley and possibly from Liverpool Lime St-Glasgow Central/Edinburgh Waverley via Warrington North West/Preston. The Liverpool to Scotland services will not travel through Warrington Bank Quay and Preston. They will run through St.Helens and Wigan North Western on their way to Preston and Scotland.